WOW! 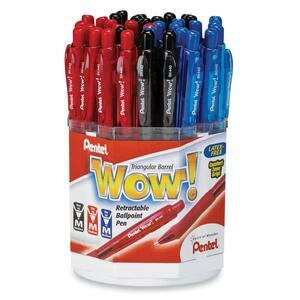 Retractable Ballpoint Pen Display showcases how WOW! 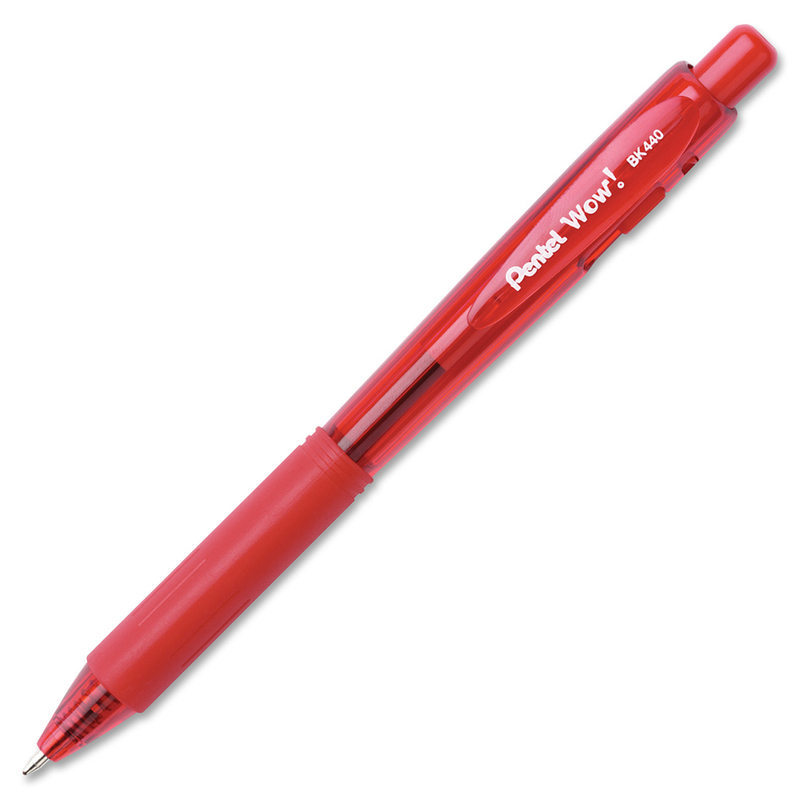 retractable ballpoint pens offer a unique triangular barrel with a soft, latex-free rubber grip for writing comfort. Design also prevents the pens from rolling off desks. Click top to advance tip. Click side button to retract. Ballpoint pens write medium lines. Each pen features a stylish transparent barrel and convenient pocket clip. Ideal for students, households and general office supplies.